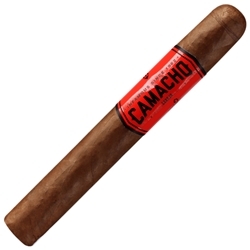 Every Camacho Corojo Gigante Cigars offers a flavorful blend of Honduran and Dominican tobaccos making them very smooth with a hint of cedar and earth. The 100% Honduran Corojo wrapper makes it bold with hints of fruit, chocolate and spice. Try them today here at Smokers Discounts!